Episode 27 of the Skip To The End podcast is here! 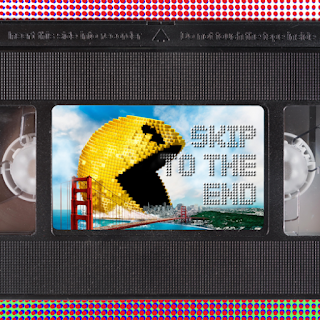 On our first anniversary special we review Pixels, the latest comedy from Adam Sandler. We also rewatch The Last Airbender, and catch up with the latest film in the Sharknado franchise. We discuss the best directorial debuts, the top movies of 2003 and revisit our lists of our favourite films of all time. As well as this we take listener questions, play The Rating Game, and give away a very special prize.